Originally, President's Day was known as Washington Day and was celebrated on February 22nd. This was in honor of the birthday of the first president of the United States, George Washington. After the assassination of Abraham Lincoln in 1865, America began celebrating Lincoln's birthday on February 12th. However in 1971, both federal holidays were combined to become President's Day, a celebration not just for Washington and Lincoln but dedicated to all U.S. presidents. President's Day is now celebrated on the third Monday in February and is a popular holiday for traveling in the United States. Presidents' Day weekend is a great time to visit historic landmarks and national parks in the United States. Here are some great trip ideas! 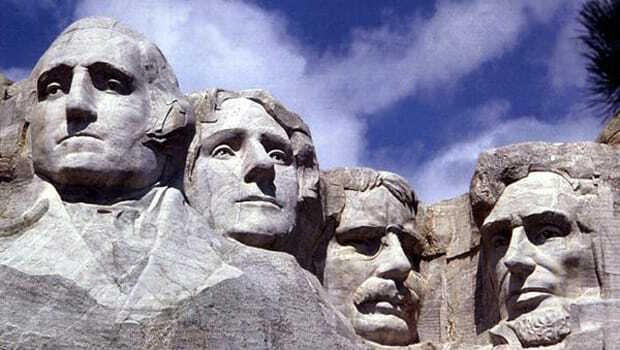 This national monument located near South Dakota depicts the faces of four U.S. presidents: George Washington, Thomas Jefferson, Theodore Roosevelt, and Abraham Lincoln. Not only is Mount Rushmore the top tourist destination during President's Day weekend but the site also features majestic views of mountains and nature. Why not visit the home of U.S. presidents? Make a reservation to take a free, guided tour through the White House. Maybe you will even catch a glimpse of Bow, the Obama family's famous dog! Fun fact: George Washington was the only President who did not live in the White House. February 20th is the birthday of our first president, George Washington. To commemorate his birthday, why not join the country's largest President's Day parade in Alexandria, Virginia, just outside DC. Take a walk through this historic town and join in the celebration. How will you celebrate President's Day?